Customized bear shape bottle opener keychain is lovable, huggable and real deliverer of business messages! Preferred by all types of businesses and individuals for marketing, it leaves indelible impressions on minds of people seeing it for the first time. It easily becomes a dearer choice for people using it regularly for nipping bottle necks or managing keys. 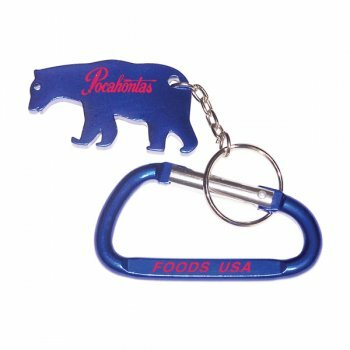 This bear shape bottle opener keychain comes with a carabineer, which means a user can choose to hang it with his belt loop, pocket or any other qualifying space. This bear shape bottle opener keychain can be gifted individually or as a combo gift with some big budget purchases. 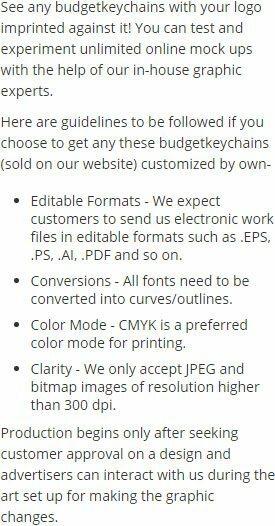 Request a quote for knowing discounts on bulk orders of custom bear shape bottle opener keychain. Features – Bear shape bottle opener with key ring in metallic finish. Available color - Metallic Blue, Metallic Black, Metallic Red and Metallic Silver. Product Size – 2 1/8" x 1 1/8"
Imprint area – 1 1/2" x 5/32", 1" x 1/2"
Product Size :2 1/8" x 1 1/8"